Averil Staunton was the founder of the Society and she was soon joined by a nucleus of people with an interest in Ballinrobe, its neighbouring towns and townland's history: the Director of the South Mayo Family Research Centre, Mr. Ger Delaney, Mayo County Council’s local Librarian Mrs. Mary Farragher. In July 2010 Mr. Liam Horan joined this committee and kindly took on the role of PRO. His help and advice has been appreciated. to try and salvage the flood of data that is being lost every day, week and year on Ballinrobe, its neighbouring towns and townland histories and their communities. It is hoped to achieve this aim through creating a Digital Archive for the communities, visitors, friends, students, future generations and researchers through this web site. 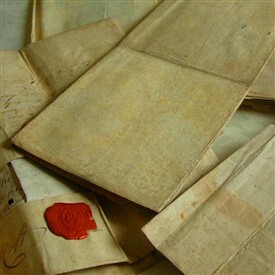 By collecting copies and recording information, in a Digital Archive designed to international Museum standards, this data of photographs, images, drawings, paintings, prints documents both legal and commercial, diaries, letters, videos and audio recording will be preserved under one umbrella and available to all interested people whether living in the local community or in far away places. Funding is from diverse sources. A Historic Calendar, was created to raise seed funding in 2010, followed by a successful application to LEADER, under the National Development Plan, to purchase the interactive software necessary for this website. This software, while expensive, was deemed necessary by the committee, as people can add their own stories, information or contribute to the comments page. The other aim of the Society is to have Ballinrobe added to the Historic Town Atlas/lists in due course. In partnership with the National Museum of Country Life, Ballinrobe participated in a pilot project to create a Digital Archive from September 2009.Training and guidance to Museum standards was received. The partnership with the Museum will continue, with backup and advice as the project progresses. This will also be of benefit in creating links with other Archives worldwide and updating skills regularly. To maintain a Digital Archive and access to an interactive website and facilitate and encourage the general public both at home and abroad to contribute data and information on Historical Ballinrobe, its neighbouring towns, townlands, their community and culture. Ballinrobe Archaeological and Historical Society will retain editorial control over all submissions. This page was added by Averil Staunton on 12/12/2010.